The Navy's plan to increase the size of its fleet is on a collision course with budget austerity. But, fortunately, there's a nuclear option. The Navy's shipbuilding plan is simply "unaffordable," as Rep. Mike McIntyre, D-N.C., pointed out during the House Armed Services Seapower Subcommittee's markup of the National Defense Authorization Act for Fiscal Year 2014 last week. Why is the Navy's plan "unaffordable"? One of the culprits is the Navy's new nuclear ballistic missile submarines, known as the SSBN[X]. The Navy is planning to procure 12 SSBN[X] at a cost of nearly $6 billion each. 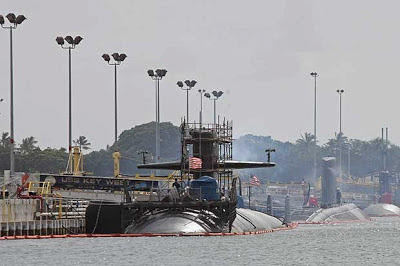 These extraordinarily high costs "crowd out spending for other necessary ships," according to Senate Armed Services Seapower Subcommittee Chairman Jack Reed, D-R.I., who represents the state where the current Ohio class nuclear missile submarines were manufactured. Echoing Reed's concerns, Randy Forbes, R-Va., chairman of the House's Seapower Subcommittee, said during the markup that buying these 12 SSBN[X] at such a prohibitive price "will serve to significantly reduce [the size of] our naval forces." Fortunately, there's a simple solution, according to Hans Kristensen, director of the Nuclear Information Project at the Federation of American Scientists – buy fewer SSBNs. Kristensen's argument for purchasing fewer new nuclear subs is not about costs – though buying fewer ships would, of course, save billions of dollars – it's about how the Navy actually uses its nuclear submarines. Since the Cold War ended, the Navy has reduced its number of nuclear sub deterrent patrols – a justifiable reduction given the need to focus on 21st century, not Cold War, threats. In fact, the number of deterrent patrols undertaken now is less than a third of what was done at the end of the Cold War, according to Kristensen's data. But, if one logically believes the SSBN fleet is 1/3rd the size of what it was at the end of the Cold War, think again. 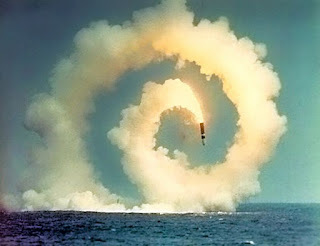 There are only four fewer nuclear launch subs now than there were in the mid-1990's (14 vs. 18), as the Navy's response to Kristensen's report concedes. 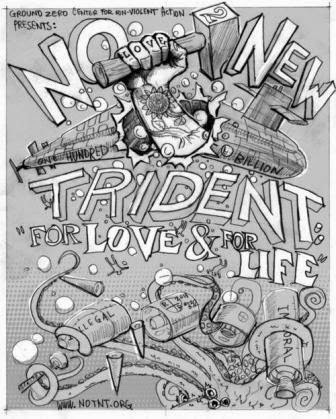 Thus, each nuclear sub is now doing much less of what it was first designed to do – patrolling as a nuclear deterrent. All of this leads Kristensen to conclude that "Fewer SSBNs can do the job …The navy could easily cut the SSBN fleet from 14 to 12 boats now and reduce the requirement for the next-generation SSBN from 12 to 10 boats and save billions of dollars in the process." The savings would give the Navy desperately needed flexibility in a shipbuilding budget that the House Seapower Subcommittee calls "unsustainable." This would allow the Navy to fully fund other ships better suited to the Asia pivot, such as the Virginia class multi-mission submarines – whose cost is half that of an SSBN[X] – which conducts anti-submarine missions, delivers special operations forces in close-to-shore operations and launches Tomahawk missiles. As Congressman Ed Markey, D-Mass., said, "It is insane to spend hundreds of billions on new nuclear bombs and delivery systems to fight a long-past Cold War while ignoring our 21st century security needs." Cutting the size of our nuclear submarine fleet would both save money yet accomplish the Navy's worldwide mission of nuclear deterrence in an era of military belt-tightening.